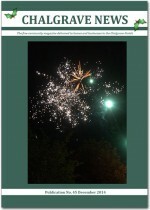 The latest issue of the Chalgrave News (Issue 45, December 2014) is now available to view here . As always, an interesting read, packed with local news, information, photographs, and opinions. You can now also find the Chalgrave News on Facebook and Twitter.